Littlehampton Miniature Railway is the oldest 12 ¼ inch gauge railway in Britain and one of ‘Britain’s Great Little Railways’. 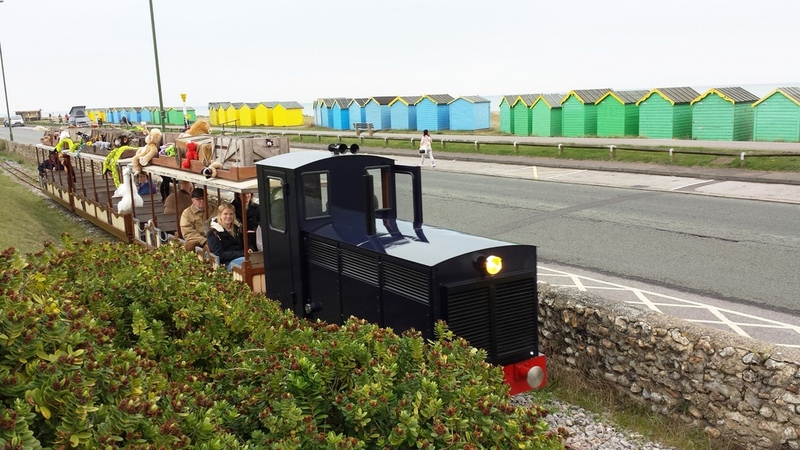 The Littlehampton Miniature Railway runs from Mewsbrook Park, through a wood and along the seafront to Norfolk Gardens. The railway is staffed and run entirely by volunteers, who are all members of the Littlehampton Heritage Railway Association (LHRA). The railway has undergone many changes since its opening in 1948, but our intention is to ensure the railway once again becomes a credit to the town, and is seen as an essential part of a day out to Sussex by the Sea. Trains run on most weekdays during school holidays, and at weekends and Bank Holidays from April to October. We also run Santa Special trains in December. Check the website and Facebook for full details.